The countertop is one the biggest design elements of your kitchen, both visually and functionally. That said, it's a decision that should be carefully considered based on your needs and style. If you're in the process of choosing a countertop for an upscale kitchen, here are a few things to consider first. Practicality of the countertop material. Different countertops require different levels of maintenance, some of which are better suited to certain lifestyles. 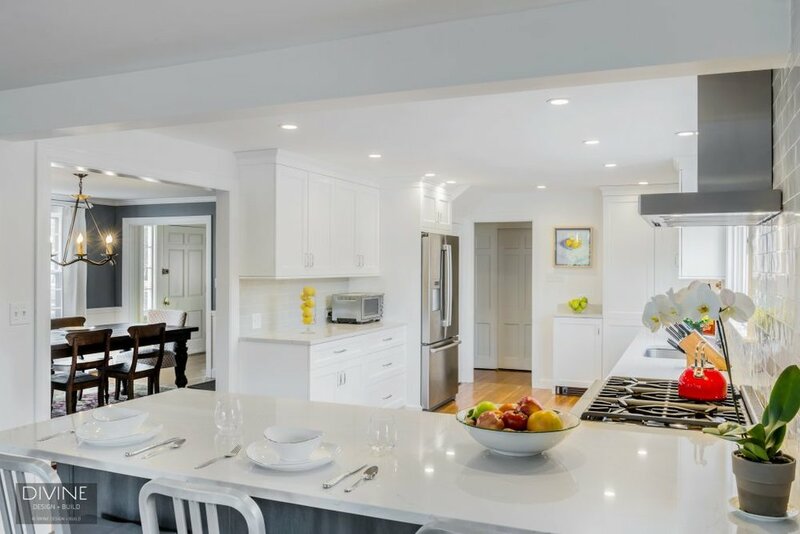 A retired couple designing the kitchen of their dreams will likely have different requirements for their kitchen countertop than a family of five. A couple, for example, might not mind that marble is porous and can stain easily if spills are a constant presence, since they're not particularly prone to spills. The family, on the other hand, might find constant vigilance to be a major deterrent. If low-maintenance is a priority, non-porous materials like Quartz or Paperstone will be much better choices. The look of the countertop material. Of course, if you're designing an upscale kitchen, aesthetics are certainly an important consideration. The overall style of your kitchen will help you narrow down your choices. If you love a traditional look, nothing beats natural stone like marble or granite (or, if maintenance is a factor, a quartz with a marble or granite look). For a modern home, a solid colored quartz is simple and complementary, but you should consider alternative countertop options like stainless steel, or cement, which can offer a cool minimalism to contemporary spaces. For a transitional kitchen, a quartz in a marbleized pattern or solid natural (like gray, white, or black) makes a beautiful choice, as do butcher block countertops, or counters made from recycled materials like Paperstone. In general, the thicker the counter, the richer and more luxurious the look, so keep that in mind when deciding on your material, too. The price of the countertop material. Budget is always a factor in kitchen design. On the high end of the countertop material spectrum, you'll find Quartz, Marble, and Granite, though which one costs most will depend on the type of stone or quartz you choose. 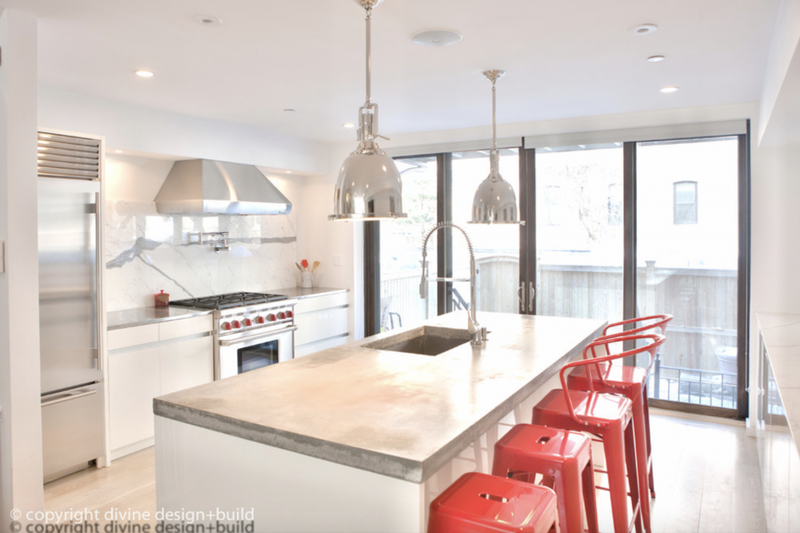 In the middle will typically fall recycled material and stainless steel options, while towards the lower end will be butcher block and concrete. For more information on choosing a countertop for your upscale kitchen, get in touch with Divine Design Build here.